Circa Blue is a contemporary Bluegrass Band based out of Martinsburg WV. Known for their creative-dynamic arrangements, clean instrumentation and tight vocal harmonies, they perform a mix of original and cover material that bridges the musical boundaries. Here is our Promo Video! Bell Buckle Records welcomes West Virginia-based contemporary bluegrass band, “Circa Blue” to its roster! "The band is releasing the title song, "Footprints in a Song" on February 1, 2019 from their upcoming CD that will be released in March." The music showcases Circa Blue’s tight vocal harmonies, clean instrumentation and creative arrangements. Valerie Smith of Bell Buckle Records says, “I saw them perform some of these tunes at a festival this summer and I really liked their songs and arrangements, I really wanted to share what I heard with others, so here we are....releasing it on Bell Buckle Records”! The CD was recorded at National Media Services in Virginia and was produced by Steve Harris. The title cut "Bells of Home" charted at #8 on the Bluegrass Today Charts and it also won The Presidents Award from Strictly Country. The instrumental "God Rest Ye Merry Gentlemen" charted at #20 respectively. The single and title cut "Bells of Home" was previously released to radio, and the full album was released 11/18/16. DJs may download it via Air Play Direct link AirPlayDirect.com/CircaBlueBellsofHome. Our newest CD "Once Upon a Time" has just been released by Orange Blossom Records and is ready for purchase! For downloads go to CD Baby http://www.cdbaby.com/cd/circablue3, ITunes-https://itun.es/us/Kh2Gab or their other affiliates. For physical purchases, contact Steve at Steve@Circa-Blue.com for PayPal or other payment arrangements. Martinsburg, WV (January 5, 2016) -- Circa Blue is proud to announce they will present and host the first annual Circa Blue Fest, this May 6-8, 2016. Circa Blue Fest is a three day bluegrass festival featuring some of the hottest acts in bluegrass today. This years line-up includes; Blue Highway, Trinity River Band, Jim Hurst, Circa Blue, Lonesome Highway and more! This is an all-ages, family friendly event with kids activities, award-winning BBQ, instrument and songwriting workshops and plenty of campsite pickin'! The festival is held at the beautiful 40 acre Moose Acres in Martinsburg WV. Situated in the Eastern Panhandle, it is just a short drive from Virginia, Washington DC, Maryland and Pennsylvania. A rain or shine event, the venue features a stage covered by a 400 seat pavilion, surrounded by tree shaded seating. Rough camping and bath houses are available as well. The event is a collaborative effort with the community, and benefits "The Child Safe Center-CAC"- Promoting a Collaborative Response to Child Abuse. Callahan, Fla. (November 23, 2015) -- Orange Blossom Records is proud to announce they have signed CIRCA BLUE to the label and will release the band’s new album, Once Upon A Time, in January. To give fans a preview of the upcoming album, the band has released a new music video for the track, "Rain and Snow." The video was filmed by Seven Bends Media on location in Virginia and West Virginia. It sets forth the torrid tale of love un-requited, and the compelling story is borne out through a combination of acting and the band's musical arrangement. Once Upon A Time features 10 songs that include several co-writes with Steve Harris and songwriters David Morris and Dawn Kenney, an Award-Winning song by Brink Brinkman, a Dawn Kenney original, a collaborative effort between Canadian Star Matt Naveau, David Morris and Steve Harris, public domain standards, and a Juice Newton cover thrown in for good measure. The title cut "Once Upon A Time" was written by Steve Harris and Malia Furtado. Once Upon A Time was recorded, mixed and mastered at National Media Services, Inc. in Front Royal Virginia, engineered by Will Shenk, and produced by Steve Harris. 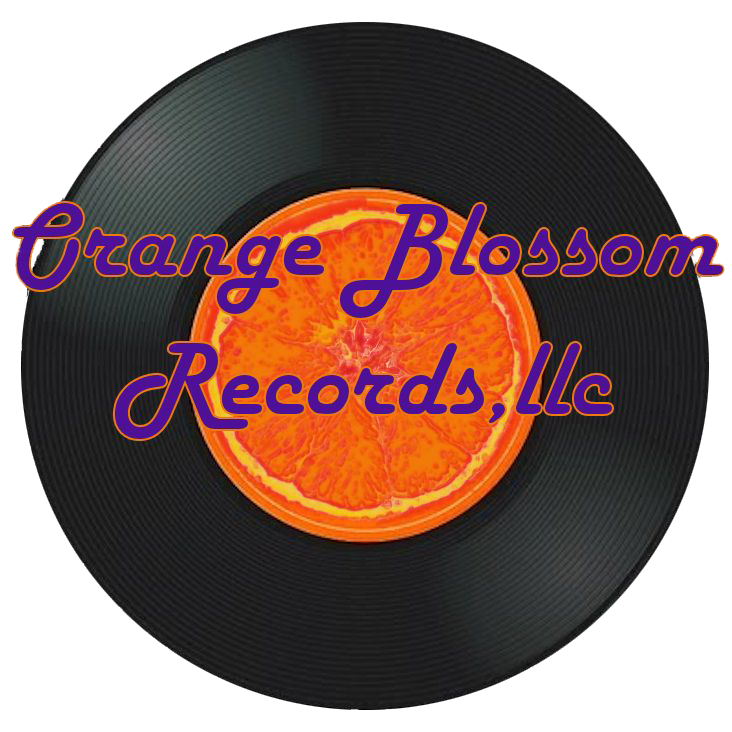 "We are excited and honored to be partnered with Orange Blossom Records LLC for our latest release. Our future grows brighter every day," said Harris. Our second album released in 2014 features 8 original tracks and 5 cover tunes done "Circa Blue" style. The album held the Roots Music charts for overall album for over one year. “To Mabel with Love” charted as high as #15 for single song, and the overall album charted at #38 for The top 100 bluegrass albums in 2014! To every DJ that has, and continues to, give it a spin, we say Thank You! Take a listen. Steve harris has signed with orange blossom records for a solo gospel project titled "sundown", and the single "sundown" is now available on airplay direct for download by radio. AirPlayDirect.com/Sundown the full album will be released sometime in late 2015; song samples are here.